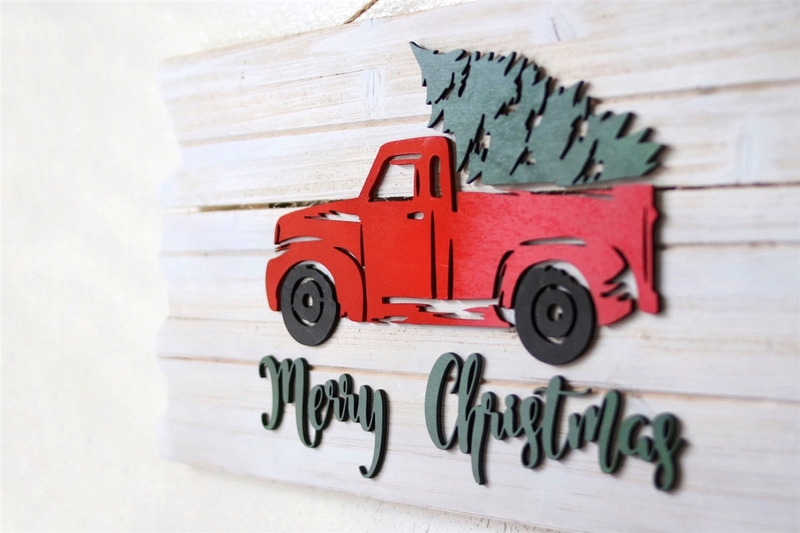 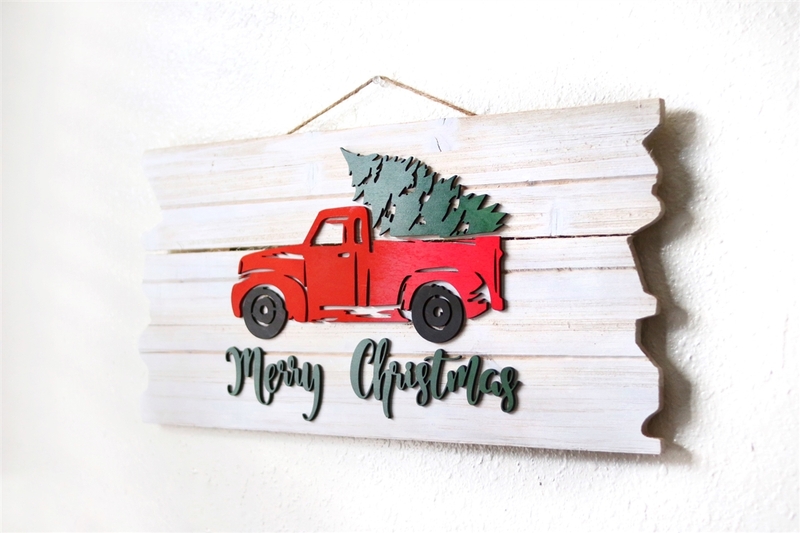 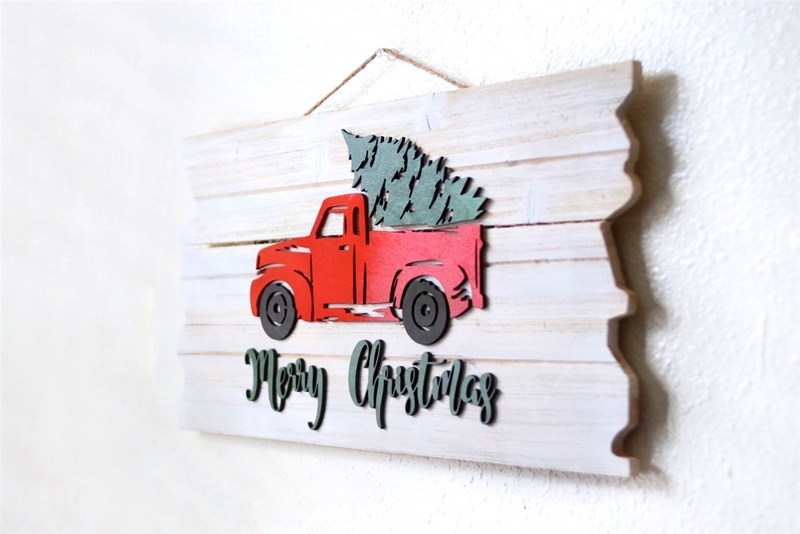 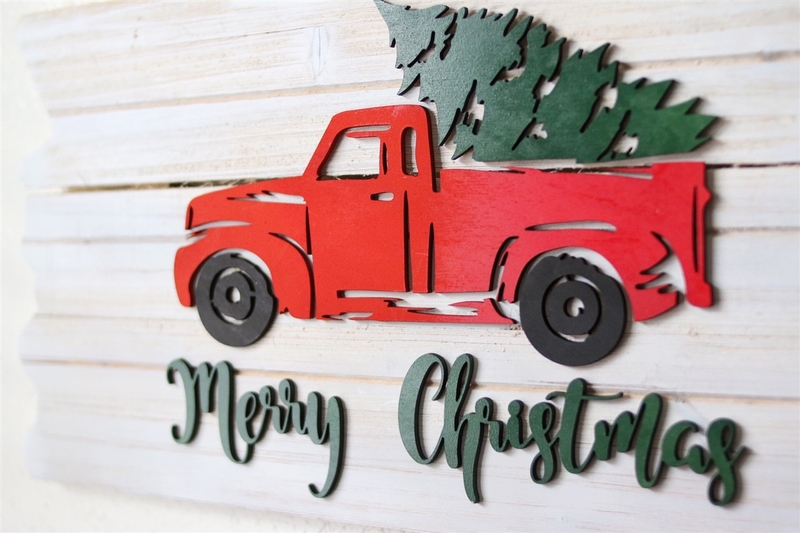 Red Truck Merry Christmas Pallet Wood Sign 18.9" x 9.6"
We are excited to announce and release the first of our new product line of 3 Dimension Laser Cut Signs. 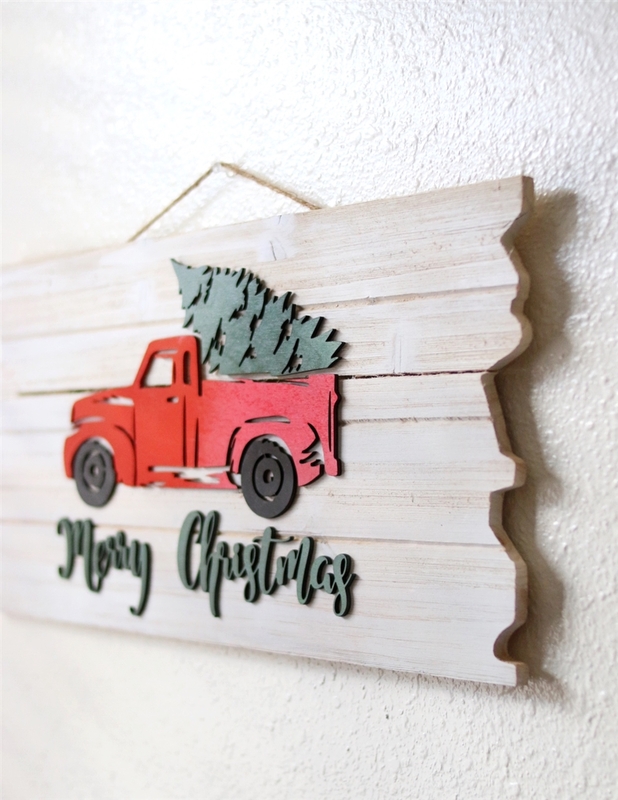 Happy Fall Y'all Wooden Laser Cut Wall Art Rustic Wood and Tree of Life Wall Hanging Circle 10 3/4"Copper Bronzed Believe! 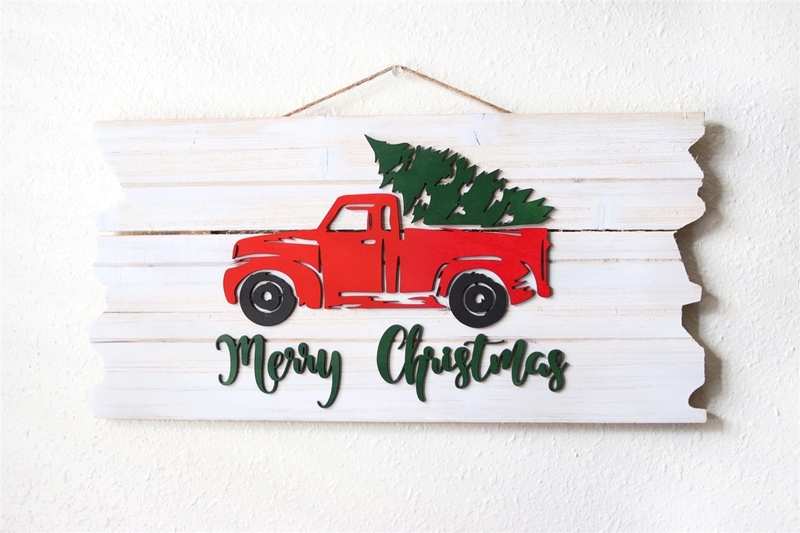 Sustainable Reclaimed Pallet Wood Sign Home Sweet Home Wood Art Sign 3D 13 1/2" x 13 1/2"